Sometimes I visit churches and the youth rooms are a little scary. I've seen the walls painted black or other dark colors or there are poorly painted murals on them because people wanted to provide a space the teenagers could make "their own." I posted an idea on how to get around that unsightly problem previously. Check out that posting here. For now, let's just leave it at wanting them to feel comfortable within boundaries, because first and foremost it is the church, the house of God. So, we give them choices, however, limited choices. With the amazing growth of technology, there is another really cool way to decorate youth room or Sunday School classroom walls easily using vinyl wall decals. They're removable and can change the feel of any plain classroom with little effort. They can cost as little as $20 and at some places you can choose a color or even design your own decal. These are so SUPER cool that I might even put a few in my classroom! The only caution I might share is that there is a lot of coffee cup theology out there and while many cool and popular quotes may seem Biblical, there's a good chance they aren't. You might want to make sure you're advertising the right things on the walls of your church and let that story be told through actual Scripture as opposed to cute or wise quips. 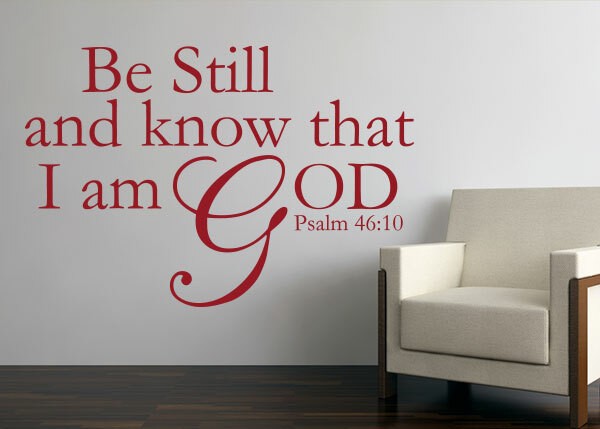 If you do a Google search for scripture vinyl wall decals you'll see a lot of options at a wide variety of prices. Check these out! Christian Statements - These have a variety of colors! Wall Praise - You can create your own designs here!